Time travel is big business in the 25th century. Artifacts from the past are salvaged and people are extracted. Interestingly, the entrepreneurial development of the recovery process leads to a massive archaeological expansion on a scale that dwarfs The Smithsonian and provides for colonial expansion across the galaxy. Australia is the new Ellis Island. Written in the first person, this is a PG-rated adventure story extolling the basic virtues, like accountability, honor, integrity, and fidelity. What this work lacks in titillation it makes up for in historical color like Connie Willis, entrepreneurial development like Nathan Lowell, and futuristic wonderment like Edgar Rice Burroughs. Most readers will find this book acceptable for ages from teen to centurion and all should be delighted to learn that the Dawes polyverse is not apocalyptic. In fact Earth is reborn: millions of bison once again roam the prairie and old-growth forests blanket the east coast. The future is Utopian. Time travel extremists attempt to destroy Utopia by crashing an orbital city of 500,000 onto a Muslim planet. Only four officers from a detachment of Federal Marshals survive. How they recover from the devastation is the gist of the story, but they're not fictional characters. The four are real historical heroes extracted from the 1800s for their valor as the most famous Texas Rangers of all time. 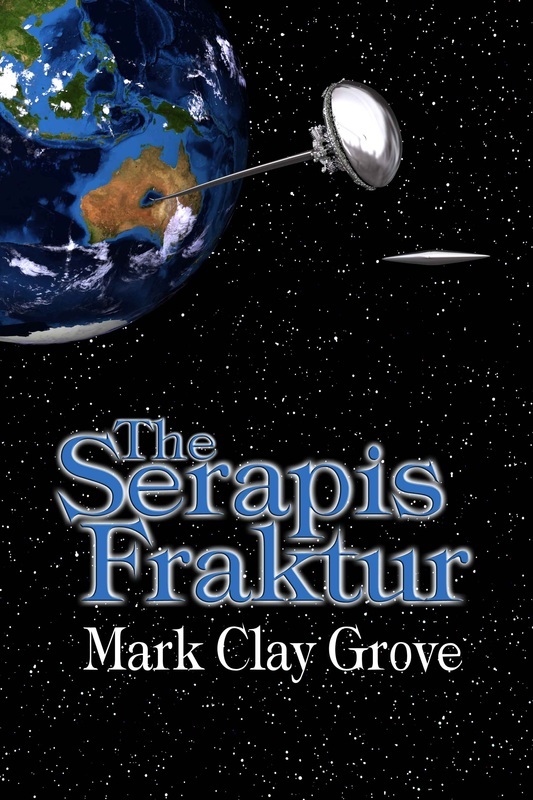 Attack on Orbital 454 is a science fiction novella based on the eventful chapter by the same title in Mark Clay Grove’s first novel, The Serapis Fraktur: The Conglomerate Series (2013). New characters are added to the original cast; otherwise every aspect of the original Utopian novel’s mid-25th century timeline remains intact. 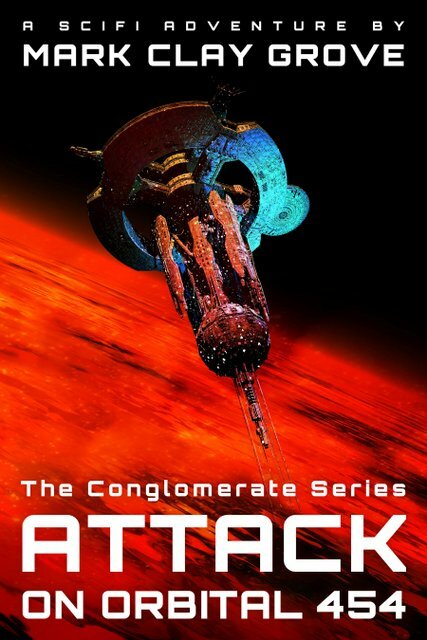 Attack on Orbital 454 is brief moment in the history of the planet Medina in a far quadrant of The Milky Way in a fast-paced colonial period when souls from the past are recycled to the future. Medina is an Earth-like red planet with a constitutional monarchy ruled by a benevolent ruler extracted from the past and settled into the far future with a devout following. Her Majesty, Queen Katy, previously known as Khadijah bint Khuwaylid (a real person ca.555-620) was in fact The Prophet Muhammad’s first and most favored wife. In this story she is monarch of an Imperial Conglomerate Colony settled by The Founder, Charles Dawes (a fictional character in Serapis). Her palace is located in the capital city, Mecca. The new society that she establishes is largely secular. Most everyone addresses her as Queen Katy. The narrative is first person and the protagonist is Chief Superintendent of Special Operations, a Dawes Conglomerate Marshal, John "Jack" Coffee Hays (real person 1817-1883). Marshal Hays is the most famous Texas Ranger of all time and nephew to American President Andrew Jackson (real person 1767-1845). The Medina Star System is his jurisdiction. 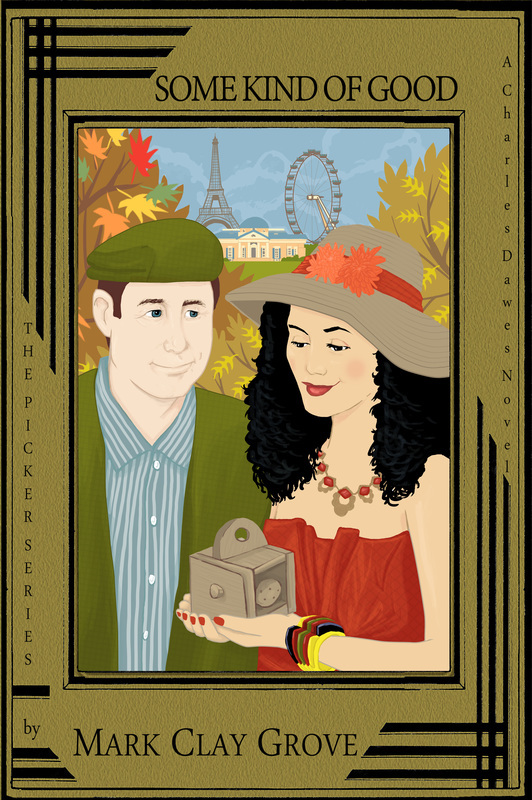 Antiques dealers, Charles and Emma Dawes, search for anything that they can buy low and sell high. A second generation antiques picker, seller, collector, and recently a certified appraiser, Charles leads the way through the marketplace engaging dealers and collectors, from rookies to experienced cronies, and in the process he reveals details about the business and their formula for success, while his Peruvian-born wife s corporate marketing experience adds a broader perspective to his narrow field of expertise. Ah, but there is trouble in antique paradise. Charles' sixth sense portends coming new trends and seismic demographical shifts in the business of antiques. At times he wonders if he should make the hard decisions that surely will shock his parents and colleagues, or ignore the early warning signs and push on. This is not the first time this complex man has refocused his life. As a child he learned to accept his Old Soul past, one in which his English incarnation perished in the Coventry blitz. 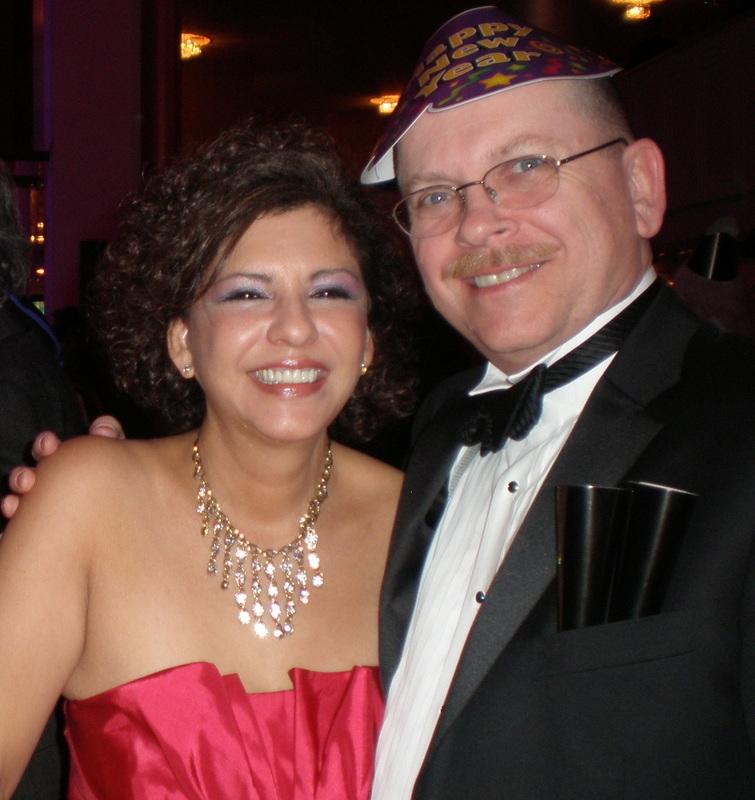 And later, after his retirement from the U.S. Marines, he learned to cope with his PTSD and visions of earlier times. But in spite of his travails, Charles is determined to conduct himself ethically which has advantages and drawbacks. 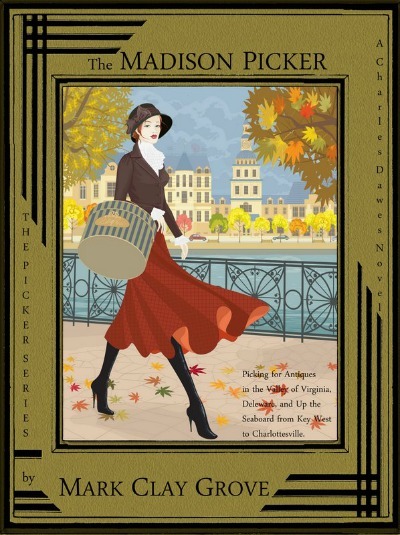 The Madison Picker is a witty story of personal encounters within the world of antiques filled with all sorts of treasures and historical artifacts that Charles carefully explains. It reality, it is actually a semi-autobiographical novel that reflects the author's own experiences as a certified antiques and art appraiser over the past four decades. Most of the story reads like a travelogue, therefore it does NOT have a plot and a climax (FYI literary police) as would an ordinary novel. A few of the passages read like a lesson plan for Antiques 401. And there are a lot of good tips throughout for the greenhorn and one or two even a seasoned dealer might not know. Check it out. First title in The Picker Series.